The pubs and clubs of Chennai make up most of its nightlife. But when a discotheque is around, then partying is so much fun. The exotic ambiances, the glamorous lighting, the music, drinking… decibel levels can soar to new highs in discotheques in Chennai. For some all-out fun, and crazy dancing, there is no spot better than discos in Chennai. So we have dedicated this post to those who want the day to end, and the night to begin when they can get grooving and dancing in these discotheques. This club is a party destination for the youth of Chennai and also for celebrities. It has an excellent sound system and a discotheque that is lit up at nights with disco colors. There’s live DJ music, and excellent food and drinks. Fridays and Saturdays are nights when the parties can become exciting and full of hip crowds of Chennai. This nightclub is designed with a Persian flavor and tempts you to enter its rich ambiance. Royal furnishings, plush seating with cushions and other luxurious décor is just right for such an exotic looking discotheque. Wednesdays are desi nights when the DJ plays Bollywood and commercial music. 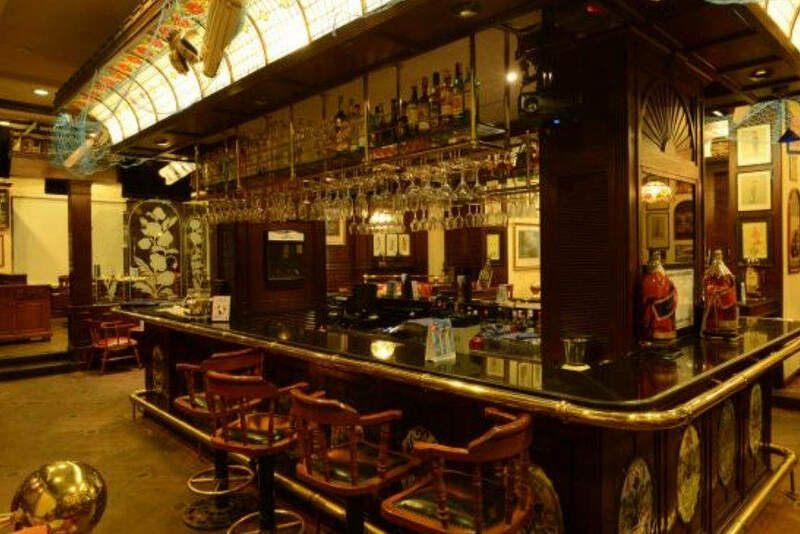 A legendary British pub, this is also one of the trendiest clubs in Chennai. There are themed nights, practically every day, when there are 1+1 on drinks. Bollywood, karaoke, hip-hop, and rock. The nights are super-charged with these musical genres and a sizzling dance floor. Be here also to catch live IPL action. The décor is excellent, the ambiance exotic, and the club is all prepared with welcome the vibrant crowds of Chennai to party hard. Every Saturday is Divas Night when there is free entry for couples, and there is a regular flow of techno music. Scintillating drinks and sumptuous food is there to be relished. When the food is as good as that of this club, then partying is no problem!! This club has a DJ and a dance floor too, where you can enjoy drinks while dancing. There are pop and retro music playing. This affluent lounge club has a superb rooftop seating, giving a grand view of the city. The dance floor gets crowded on Fridays and Saturdays, with some cool music and plenty of dancing around. The bar makes excellent cocktails and the finger food is amazing in taste. Do get your gang and party hard. This club in Hotel Savera hosts exciting events, full of music and drinks. You can treat yourself with various musical genres like retro, pop, classical while enjoying drinks, or dance to the tunes. The live performances by musical bands and renowned DJs will add glamour to the nights here. The club becomes a crowd puller due to its beautiful décor and live music. The DJ plays cool stuff which can compel you to dance on the floor. The food, drinks, and the overall ambiance are good enough to make you stay and enjoy the night. This Spanish pub is most popular for its fiery Mexican food, but clubbing can get real high here!! It has events lined up every day, with live bands and themed nights having great offers on drinks and food. You are assured of the finest food, scintillating cocktails, and rocking music. This pub is the finest in Chennai and the live performances are also nice to hear. Charming ambiance and lighting can make you come again and party. They have an excellent food menu and drinks along with it. This terrific lounge bar and nightclub become a lively entertainment zone when live DJs and bands perform here. The lifting ambiances, rich décor, and lighting of this place are made for such glitzy nights. The dance floor becomes filled with music lovers and fans who sway with the best moves. This lounge bar is a hip place with thumping music and a fabulous dance floor. There are themed nights, when there are discounts and offers on drinks and food. The cocktails are delicious and so is the food. The contemporary ambiance, dim lighting, DJs, disco lights, all create a mood to party hard. Nights at this lounge bar are all buzzing with excitement. There are groovy music and a dance floor that gets filled up rapidly as the night progresses. Parties are glamorous events here with trendy crowds of Chennai attending it. The bar offers excellent cocktails and there are great offers on booze. You can also catch live cricket action. What more reason do you need to party? There is the sea to look at from this beach club. And the ambiance gives you the cool vibes whenever you are here. When the moon’s risen, the parties can be ecstatic. There are colorful lights, TV screens, loud music and a dance floor. What else do you need to party? Oh yes, the food and drinks are a sheer indulgence to the senses. There are themed nights too with free drinks. The South American spirit of this lounge bar is seen spilling over from the walls, the décor, and the ambiance. And when the DJ turns up the music, and the house rocks with mind-blowing music, the nights become intoxicated. There are outstanding starters and the bar has imported spirits and great cocktails. Themed events with live DJ and great offers on drinks!! The best thing about this club is that it remains open even after midnight, so there’s that extra time to have fun dancing and drinking. It hosts exciting events like Bollywood nights on Wednesdays and Techno Fever on Fridays, where DJs pump out hip-shaking music. The dance floor pulsates with lively people. The alcoholic drinks are pretty awesome. If you are in Chennai and reading this, you have a strong reason to get excited. Get your best pals, don those trendy attires, and have a rocking night in these discotheques. If you have visited any of these places, or know of some more, then do write your comments in the box below.